With our free software player you can manage and play the MUSIK2BIZ music programs; in addition, our streaming software provides the permanent availability of our music; even if your Internet connection is temporarily unavailable due to a technical defect. 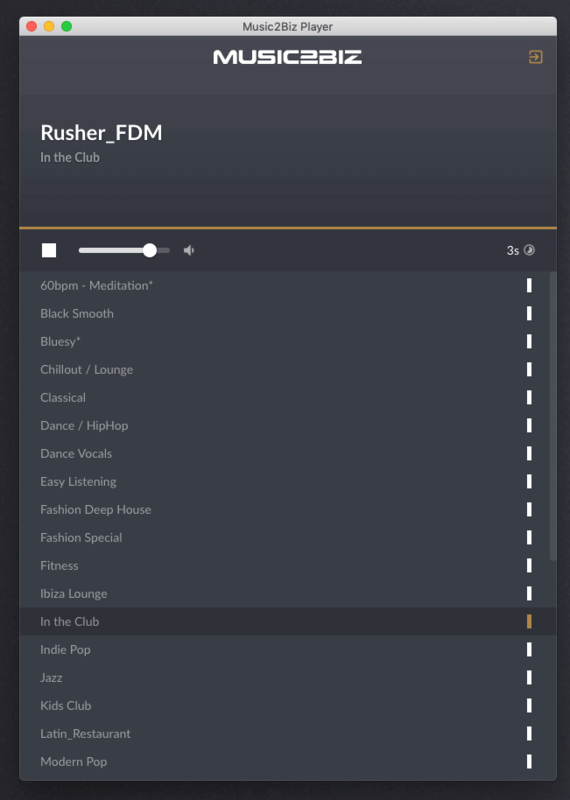 The Player App is a compact standalone client application that allows you to play MUSIC2BIZ standard programs and playlists. Logging into the MUSIC2BIZ customer account is not required. The player is available for all common operating systems. To use the MUSIC2BIZ background music service, you do not have to commit yourself to any particular hardware. Our system can be used with many standard hi-fi systems available on the market without special adaptations. All you need is a standard Internet PC, a normal stereo system and a free software player from the Internet. Suitable for example are iTunes, VLC players or Miro. However, a disadvantage of these alternative solutions exists. Neither of these software players stores a two-hour music buffer in the event of a temporary Internet malfunction. Only the MUSIC2BIZ software player does that. Therefore, our recommendation is clear: We advise to use our free player. 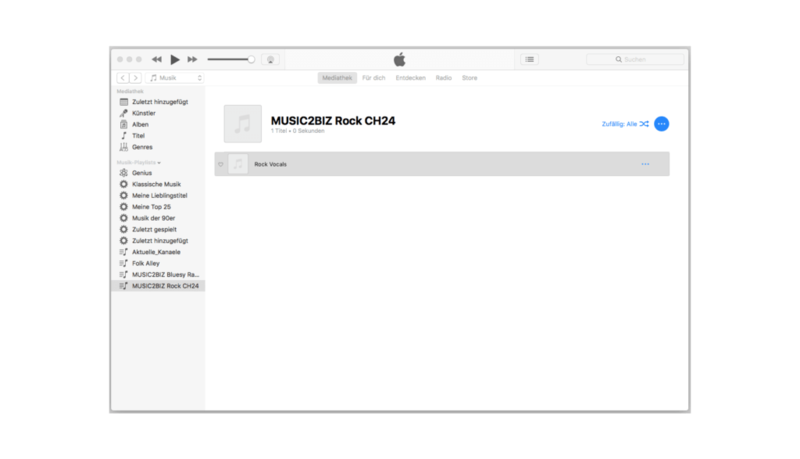 To play a music stream, open iTunes, select “File” -> “Open Stream” -> in the resulting input field, simply enter the URL with your individual MUSIC2BIZ streaming code and the music streaming with iTunes can be started immediately with “Play”. Download Link for Apple iTunes. VLC is a free media player, as well as a framework for various operating systems, that play most multimedia files, DVDs, audio CDs, VCDs and various streaming protocols. Completely free – no spyware, no advertising and no user tracking. Download Link for VLC-media-Player. 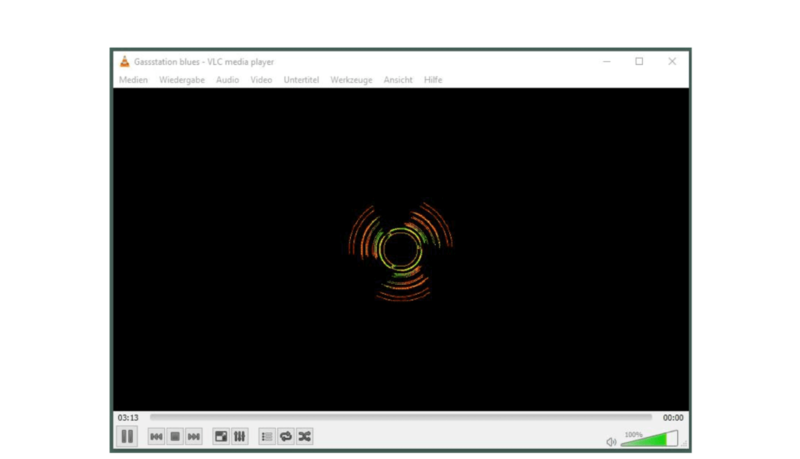 Here you´ll find our tutorial “Using VLC player”. Our music database for royalty free titles is carefully maintained, each individual title is checked for its licence. Only when we have the “royalty free” proof, titles are included in the music database. Our service is just as easy to use as listening to internet radio. You do not need expensive hardware or special expertise. If questions occure, our support is available via telephone and email. In addition to using our standard music programs you have the possibility to create your own playlists. This way you can completely customize your music supply without additional costs. You can use our spot tool in your customer account to integrate your own advertising inserts into your music programs. This service is included in every subscription rate at no extra cost. The MUSIC2BIZ system does not work on a sponsored by ads basis. All music programs are completely free of external ads. Unless you use your own commercials. Almost 80,000 Gema free titles ensure a varied music mix for your business premises. Your employees will also thank you for our music variety. We rely on proven technology standards. This allows you to use our services with easy and cost-effectively. Investments in special hardware usually are not required. The use of our music programs is possible with many Internet-enabled devices, whether it is a PC, an audio receiver, a router, a WLAN system, an internet radio, or a mediaplayer on a tablet. Due to the use of the MUSIC2BIZ audio player software or our hardware receivers, a secure music supply is guaranteed, even in the case of temporary internet outtages. With the MUSIC2BIZ Online Office, you can control your music programs, create your own playlists and manage the insertion of your own audio ads. The music in the individual stores can be managed online, including playlist creation and the adminitration of advertising inserts. If you have any technical questions or problems, please do not hesitate to contact our support team. It can be reached by phone or by email.